Catch hard-hitting war photography that spans three decades across Vietnam, Cambodia and Laos. 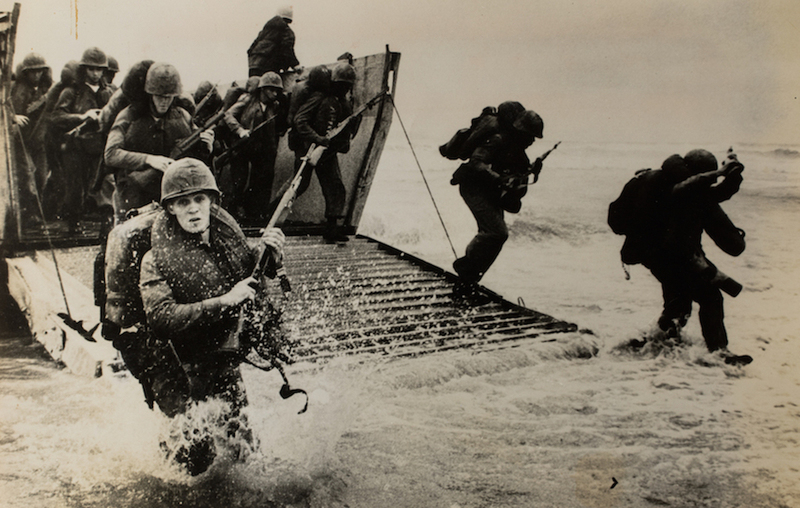 These vintage prints include ones by internationally renowned names such as David Douglas Duncan, Don McCullin, Larry Burrows. All the photographs showcased at Battlefield Lens Photographers of Indochina Wars 1950-1975 are a part of a private collection of Singaporean collector Judd Kinne, who was a US Marine Corps infantry officer in South Vietnam from 1967 – 69. Ever wondered where zines came from? This exhibition by Singapore Art Book Fair and Squelch Zines deep dives into the world of zines. Deszinenation: Ground Zero seeks answers to questions like how relevant are they in our expanding digital age, what defines a zine, does it have limitations and what happens when a self-initiated medium evolves into a product that requires high production cost? This one cannot be missed! 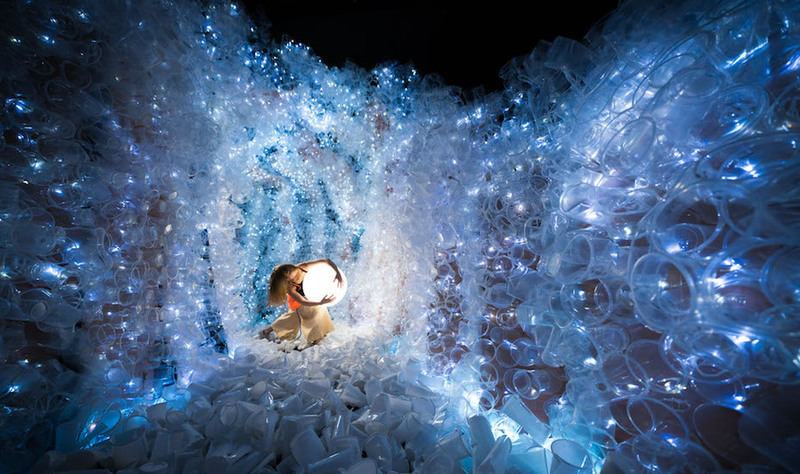 Artist Von Wong and frequent collaborator and social impact strategist Laura Francois have unleashed their latest thought-provoking art installation, which will make you think twice about ever using a plastic cup again. Plastikophobia appears like a crystal-like cave, but look closer: it’s made from a staggering 18,000 disposable plastic cups! And to drive home a point, all the cups were collected from Singapore’s food courts over just one and a half days. Take a moment and let that sink in. These throw-away cups have been collected, cleaned, melted and fused together to become at once creepy and beautiful. It’s a scene you need to experience in the flesh before the cups make their way to the incinerator (like the majority of plastic in Singapore that doesn’t get recycled) after the exhibit’s six-week run. This exhibit that’s deeply associated with Chinese ink features paintings, video works and installations by Yeo Shih Yun. Titled Diaries, Marking Time and Other Preoccupations, it sees contemporary experiences using a medium with its own unique history. 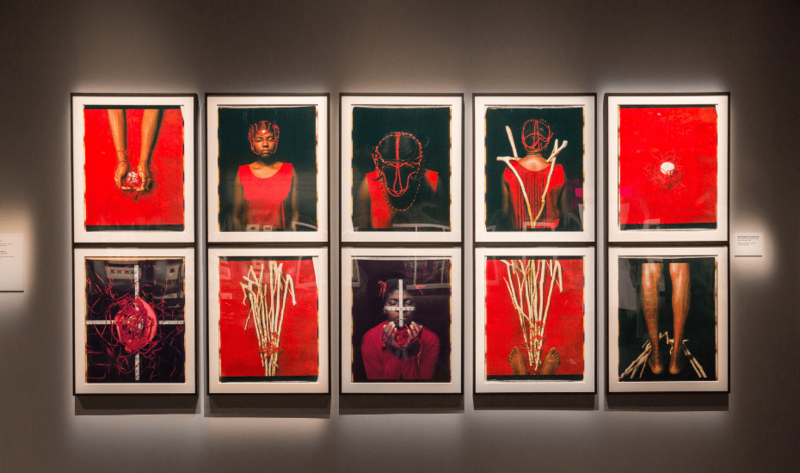 Her works of art vary – you’ll see markings rendered by brushes tied to tree branches and even battery operated toy robots – that are then transferred and recomposed using silkscreens or other print techniques. Known for establishing modern Singapore as a British port, Raffles was a great many things – a British official with the East India Company, author of the book The History of Java and an avid collector of natural history and cultural materials. Opinions about him have changed with time and this exhibition at the Asian Civilisations Museum aims to present a complex multi-layered picture of him. Also, a part of the exhibit is a rich showcase of the artistic and cultural heritage of Java and the Malay world. 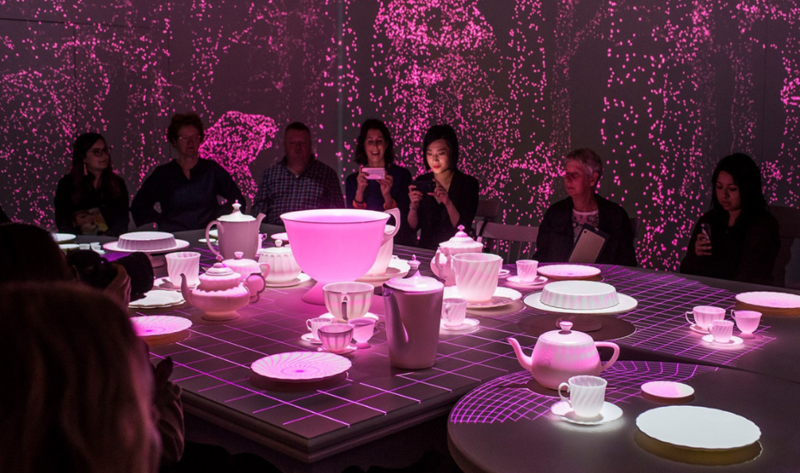 Alice in Wonderland fans, you can now step through the looking glass and into Wonderland IRL at the ArtScience Museum. Stunning, playful and interactive, this one-of-a-kind exhibition follows Alice’s journey through popular culture. Drop by and find out how artists and filmmakers have portrayed this iconic fictional character and told and retold a beloved story for over a century. 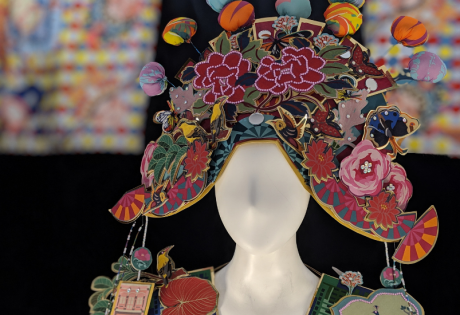 Begin at the beginning and walk through elaborate theatrical sets to find out how this character and story from 1865 evolved with time to become a subcultural icon fluttering through countless music videos, video games, high fashion, advertising and more. Of course, you can interact with that enchanted world we know and love including the Hallway of Doors, Pool of Tears, Queen’s Croquet-Ground and of course, the Mad Hatter’s Tea Party. Read our article on Wonderland for more details. This joint exhibition by Singapore-based artists Madhvi Subrahmanian and Nandita Mukand is heavily informed by the artists’ exploration of nature and how it finds itself our urban world. Showing at The Private Museum (TPM), From Lost Roots to Urban Meadows features installations and sculptural works through an inquisitive lens that will leave you questioning our big city existence with and without nature. Head over to the National Gallery to catch over 60 definitive works of one of Singapore’s pioneer artists Lim Cheng Hoe. His the latest exhibition – Lim Cheng Hoe: Painting Singapore – showcases his inspiring journey towards becoming a renowned plein-air (the practice of painting outdoors) watercolour artist. He artfully captured the country’s evolving landscapes and people across almost four decades. 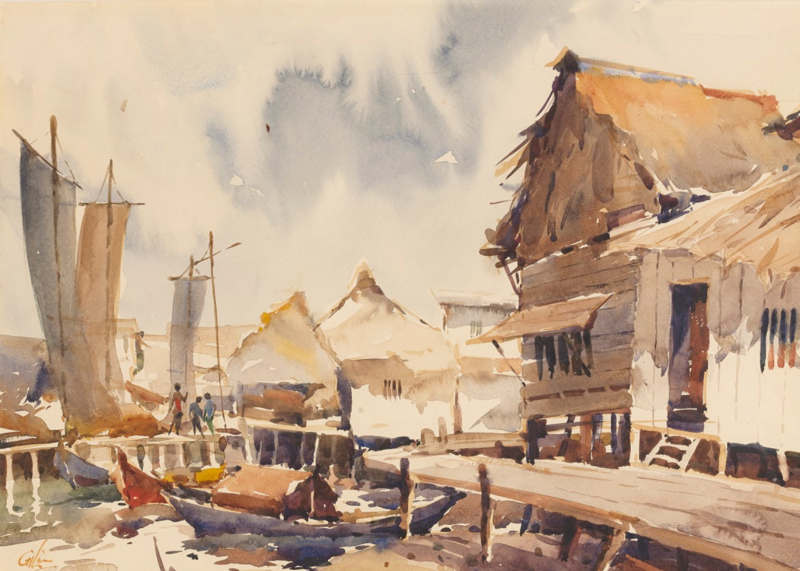 Largely self-taught, the co-founder of Singapore Watercolour Society documented his surroundings – expect to see kampongs (villages), boat traffic on the Singapore River, hilltop views, fishing villages, land reclamation and construction sites and such. We’re loving January already – Singapore Art Week is all set take over popular neighbourhoods and drenches them in art. Imagine nine thrilling days with 100 odd events across five precincts. Plot your life according to the calendar and hit up exhibits, talks, performances, workshops, film screens and other immersive activities. One of Singapore’s most vibrant precincts is buzzing a lil’ extra with Artwalk Little India adding a handsome helping of spice to our January (and February). This exciting multi-disciplinary public art project includes a trail, traditional dance performances, tons of interesting workshops, a documentary film screen and more. Y’all, brace yourself for one helluva history-filled year filled with local history by way of art (more often than always)! You might want to bookmark this guide to everything Singapore Bicentennial – a commemoration marking the 200th anniversary of the arrival of Sir Stamford Raffles. This little red dot’s history goes back to 1299, about 700 years pre-Raffles, and this year is our chance to dive headfirst into history. 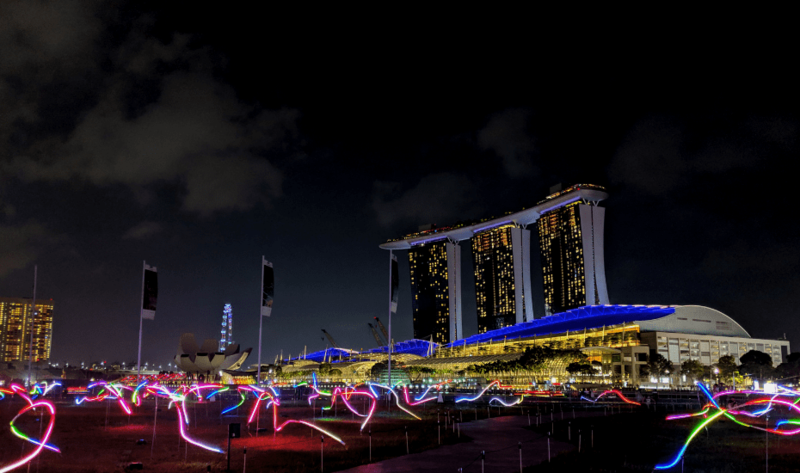 Singapore’s largest sustainable light art installation festival is back and it’s bigger than ever. 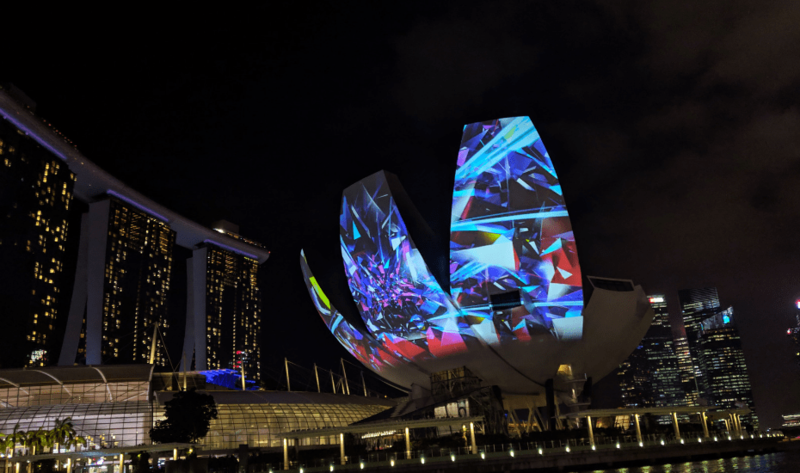 We’re crushing on i Light Singapore 2019 – from its scale (it goes all the way to Fort Canning this year) to the sheer number of installations and events. Start plotting… we hear it might have five good hours to catch all the 33 amazing artworks to play with including a massive multimedia show on the river. Also making a debut are enthralling installations on six iconic bridges along the river and bay. Don’t miss Transporta, an immersive multimedia experience, at Esplanade Park, the eco market at The Lawn@Marina Bay for sustainable buys and workshops and Camp Kilo at Marina Bay Sands Event Plaza for bites and chilled out music. This one is gonna be a goodie too. 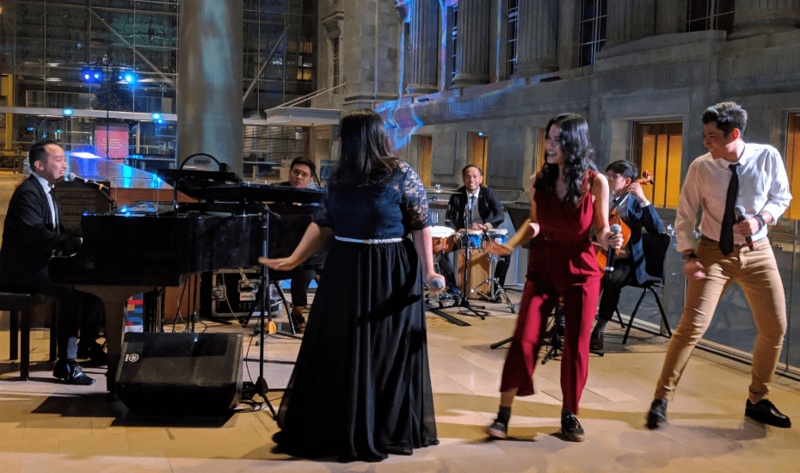 The second edition of Light to Night Festival 2019 is one of the three events kickstarting Singapore Bicentennial commemoration. Catch specially curated reflections from artists, writers and performers who will reimagine Singapore history! Iconic monuments in the civic district are wearing art skins every night till 24 February, telling stories you might not have known. Like that of Zubir Said, the composer of Singapore’s national anthem and of William Farquhar’s unconventional way of dealing with a certain pest Take a looksee. Here’s something you absolutely must not miss: Shadows In The Walls is an after-hours “heritage tour” where you cross paths with historical characters (ghosts, even?) who grant a glimpse into their glorious past. Catch the immersive performance/storytelling between 11 – 14 Feb and 18 – 21 Feb (tickets at $20). We all know that movies and advertisements hold up a mirror to the society. So we can’t think of a better way to peek into what life was like in 1830s through 1960s than through print advertisements from Singapore and Southeast Asia. At Selling Dreams: Early Advertising in Singapore, you can catch an extensive collection of unique ads from brands like Cold Storage, Bata, Tiger Balm and Singapore Chronicle (our first newspaper published in 1833), among others. And, you can even sign up for the Curator’s Tours every third Thursday of the month or public tours every first, third and fifth Saturday of the month. Did you know Hollywood actress Lucy Liu is also a visual artist? And she has collaborated with her visual penfriend Singaporean artist Shubigi Rao. Together they are presenting their creations at the National Museum of Singapore in an exhibit titled Unhomed Belongings. Liu’s installation Lost and Found and Rao’s Pulp (Volumes 1 and 2) aim to give new meaning and peculiar characteristics to seemingly ordinary objects. The world is celebrating brilliant and multi-faceted Nobel Prize-winning physicist Richard Feynman centennial. 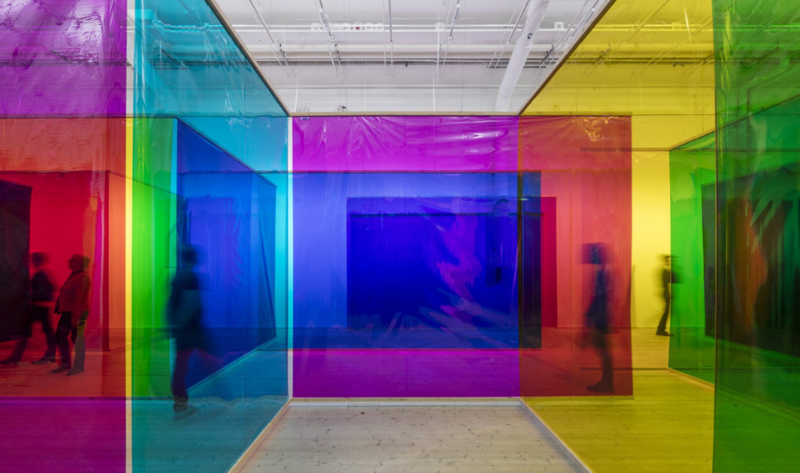 In Singapore, ArtScience Museum has collaborated with Nanyang Technological University and Nobel Museum in Sweden put together an extraordinary exhibition. You simply cannot miss All Possible Paths: Richard Feynman’s Curious Life where art, science and contemporary design come together to celebrate Feynman and his extraordinary achievements. Contemporary artists have imagined installations, sculptures and immersive environments that are bound to take you on a journey. You don’t have to be a professional photographer to love the art. Get an insight into what photography was like in Singapore’s early days of Singapore at Amek Gambar: Peranakans and Photography exhibit. It showcases some of the rarest and earliest images of Peranakan history. It covers over a century and half of photography, right from the emergence of cameras in Southeast Asia. Study the changes in the style of photography and watch history unfold itself through still frames. All you need is one lovely afternoon to spare. Nature and art lovers are going to love this one. Scott Lambert of Singaporean brand agency Superunion was inspired by a two-metre-long palm leaf in his garden that his daughter found. It eventually led him to reappraise the silhouettes and textures of local foliage. What makes this exhibit extra unique? Leaving Impressions collection by Scott Lambert is displayed throughout the Botanical Gardens so you can enjoy it outdoors. Making its way back to the ArtScience Museum is MeshMinds 2.0: ArtxTechForGood, an immersive experience that proves art and technology join forces to make a positive social impact. Catch contemporary artists address global challenges like ocean pollution, climate change and the issue of growing waste from an Asian perspective using their unique brand of creativity and modern-day technology. Loved reading the book? Well, Little Prince: Behind The Story exhibit will make you dig deeper into the tome and the man behind it. Experience the book with some rare materials and artefacts like the author’s personal belongings (his military coat, gloves and leather satchel), hand-drawn illustrations and even an autographed copy of the very first edition of The Little Prince. Psst… some of these items have never been shown outside France! Chances are you’ve never used a Polaroid camera for an instant snap that would print right into your hands. But this precursor to Instagram, Snapchat and Facebook was the closest things to a quick-fix picture back in the day – it was how folks captured moments in an instant. While the retro-tech is making a comeback (thanks hipsters! ), you can discoveries with a wide range of Polaroid artworks and artefacts at the In an Instant: Polaroid at the Intersection of Art and Technology exhibit. Find yourself marvelling at the complexities of nature and human the mind? Mind(less) Wilderness shares your curiosity. Singapore-based artist Nandita Mukand’s solo exhibition of paintings and sculpture makes observations on flourishing plants in a forest and the urban mind. You’ll find the artworks drawing upon interesting and varied resources like neuroplasticity, quantum physics, contemporary Buddhist texts, and even ancient Vedic literature. 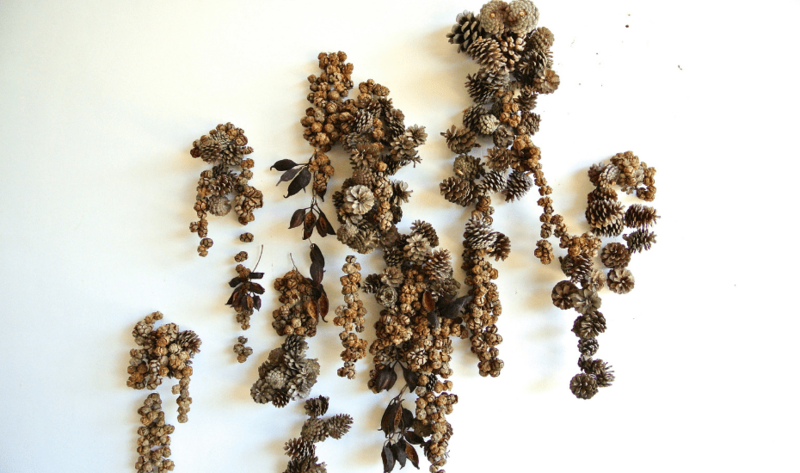 Catch her creations that are crafted using several synthetic and organic matter. Have you checked out the new Future World?